Volunteer Appreciation Night is scheduled for Thursday, April 23, 7:00 p.m. to 8:30 p.m.
at Matt Talbot Kitchen & Outreach. 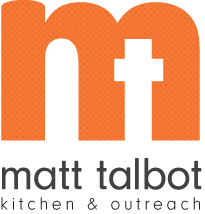 Enjoy an evening of refreshments and fellowship in appreciation of the Matt Talbot Kitchen & Outreach Volunteers. Executive Director Susanne Blue will present "A Year in Review: 2008" and will discuss recent updates on the organization's relocation efforts and the Witness to HOPE capital campaign. For more information or to RSVP, contact Sydne at 477-4116 or sydnemtko@windstream.net .